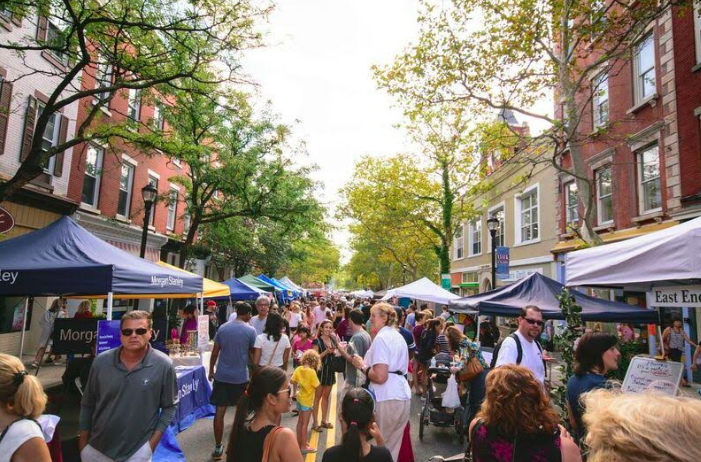 The snow has finally melted, and winter gives way to spring as Nyack prepares for the Nyack Chamber’s 32nd annual SpringFest street fair, set for Sunday, April 8 in the heart of Nyack on Main Street and Broadway. The fair runs from 10 a.m. – 5 p.m., rain or shine. Admission is free. Families, foodies, shoppers and fun-seekers shouldn’t miss this special event, featuring over 300 vendors offering something for everyone ― jewelry, art, photography, collectibles, antiques, quality handmade crafts, gifts and much more. Nyack’s great shops and restaurants will be joining in with their usual flair — unique merchandise, great food and outdoor dining. The fair also features live entertainment and activities for the kids. Rockwell Cycles’ simply stunning array of fabulous rides. Also of special interest, kids of all ages can join the circus for a day, taking in Amazing Grace CIRCUS! shows and trying out tightwire walking, silk climbing and juggling — with help from the circus performers. The free shows are set for 1 – 3 p.m. in Memorial Park. Popcorn, cotton candy and juggling equipment will be available for purchase to complete the circus experience. Musical entertainment, organized by event manager Mark Mangan, features top-of-the-line local artists. Shows begin at 10:30 a.m. and continue throughout the day. Maureen’s Jazz Cellar, a top music destination in the tri-state area, will offer live jazz served up by headliner David Budway and his trio — on tap during the day at Main and Broadway where the Jazz Cellar makes its home. While grown-ups groove to the music, the fair will offer plenty for the younger set, with kids’ games and bouncy houses in the Main Street parking lot.